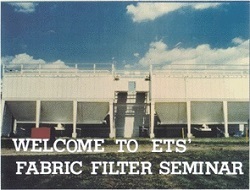 ETS offers its courses online as well as in person. While both alternatives have their proponents, online training is by far the most cost effective and time efficient method to train personnel. • Cost Savings - No travel or accommodation costs. • Flexibility - Take it to fit your schedule. • Convenience - Work from home or office. • Feedback - Personalized support from instructor. • No lost time - No travel time. • Updates - Proficiency and progress reports. 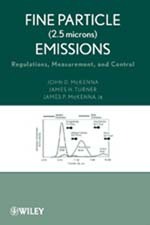 Course Material: Two textbooks - Baghouse I & II are included. Time Required: Approximately 12 hours total. Time Frame: Each attendee has 90 days to complete the seminar. Tell us what courses you need and, if we do not already offer it, we will put it online for you. We also offer custom designed training webinars.